He may have terrible manners and a bad mouth to match, but the self-appointed leader of the "Twilight Disciplinary Committee" only has the towns best interests in mind . . . his followers Fujin and Raijin seem to believe that, but Hayner and co. are not too convinced. Virtual Seifer often bullied Roxas and called him "chicken-wuss". During the Struggle tournament in the fake Twilight Town, he was surprisingly defeated by Vivi. Certain that his opponent it wasn't the timid member, he uncharacteriscally asked Roxas to finish the poser. The real Seifer was real Twilight Town's Struggle champion. His attitude was just as bad toward Sora and his group. He showed a change of heart after Sora saved him and his friends from a group of Nobodies and gave him his Struggle Trophy which "goes to the strongest guy in Twilight Town" as a sign of respect. 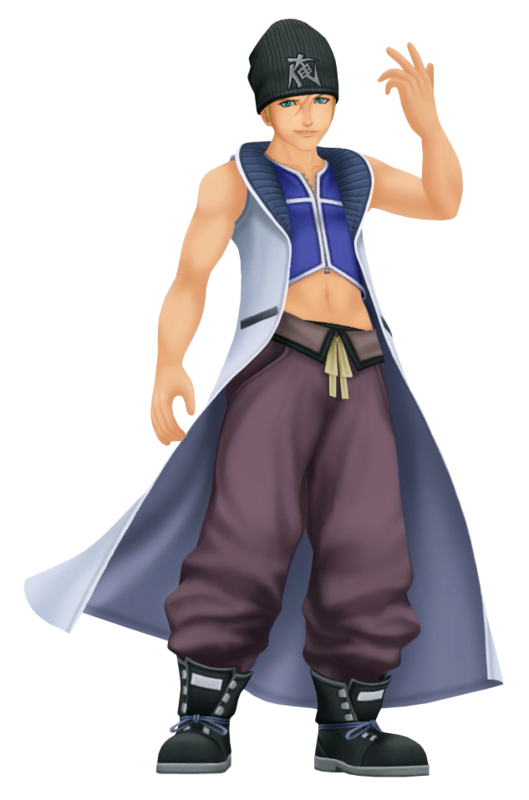 Sora later fought against Seifer in the Struggle Tournament for the title of Champion and won. Seifer was seen in the finals of next Struggle tournament against Hayner at the end of the game.